Hämmerli sporting arms are known for their functionality, longevity and modern design. In addition, they offer excellent value for money. 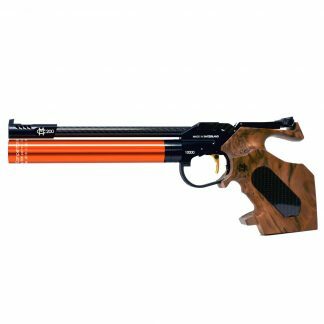 The AP20 permits a large range of custom variations and weighs only 900 g, making it the ideal air pistol for beginners, young people, target clubs and ambitious recreational shooters. 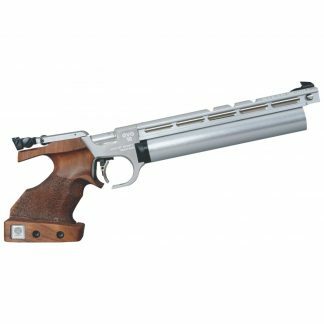 Important components like the grip, trigger, barrel and sight are the same as in a full-fledged match air pistol – made by Carl Walther, Ulm. · The PRO-LINE compressed air cylinder can be mounted either vertically or horizontally, depending on where you want the center of gravity. 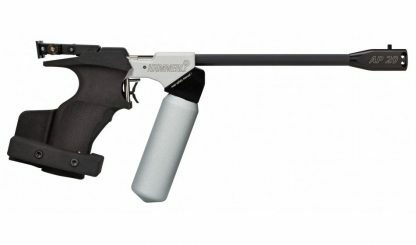 · The ALL-IN-ONE molded grip can be adjusted over a wide range of sizes, from S to L. The rest for the ball of the thumb can be attached for right-handers or left-handers. Without the rest you have an universal grip. 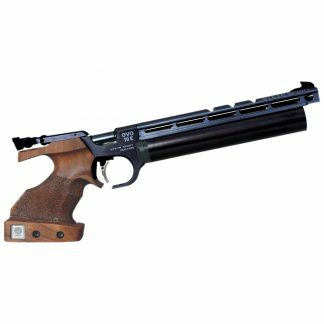 · The basic colors of the pistol are black and silver. The SPEKTRAL barrel jacket is exchangeable, permitting a choice of six different colors according to your personal taste. · The AP20 is unbeatably inexpensive. 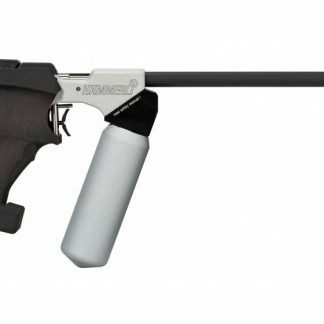 It is in a class of its own on the market for match air pistols. 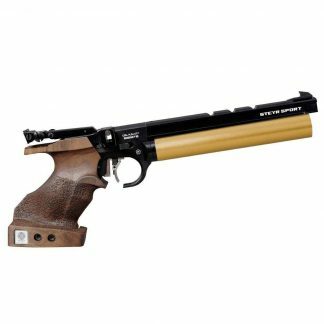 In addition, there is a wide range of special accessories, allowing shooters to upgrade the pistol according to their individual needs.